These cylinder top chain tassels are comprised of a bundle of chain inside a metal, cylinder shaped top. The cap has a 2mm loop to easily attach to necklaces. The tassels are made from brass with electroplating and clear coating, making them seriously shine. We carry these tassels in antique silver, antique copper, antique brass, nite black, gunmetal, silver plate, gold, matte gold, and matte gunmetal. 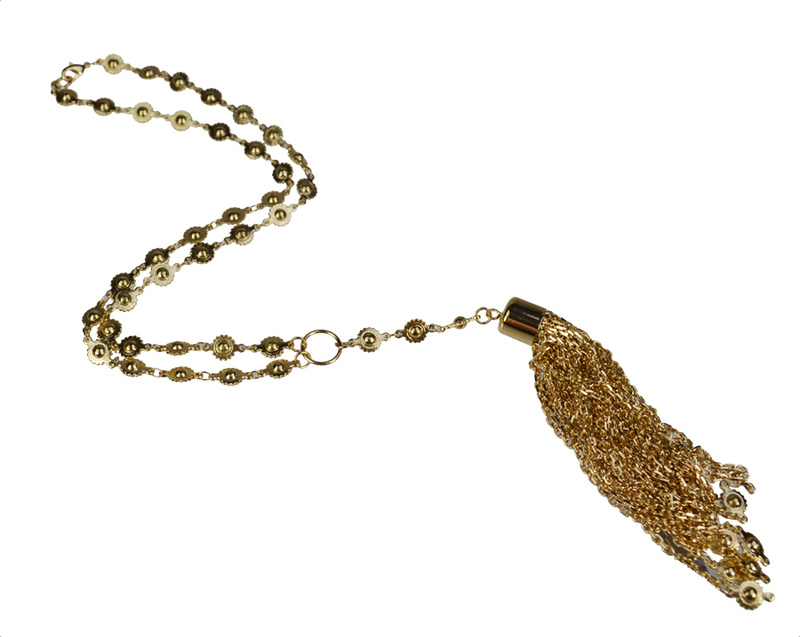 All of our chain tassels match with our chain finishes and findings. Looking for the chain used in the tassels? We sell that too! CH-157 Tiny Rectangle Chain is used in our cylinder cap tassels and sold by the spool. Use as a center piece in a necklace or purchase two and make dangle tassel earrings!